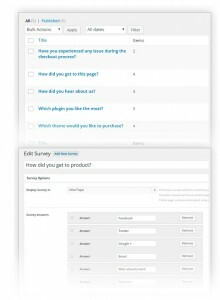 YITH WooCommerce Survey Premium Extension: allows you to add small surveys on the Checkout-page providing you with valuable information from your customers. WHAT ABOUT GETTING AN ANSWER TO YOUR QUESTION FROM ALL YOUR CUSTOMERS? 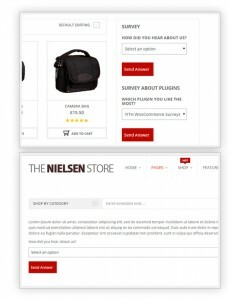 Several studies showed that the best moment to ask your question is during the checkout. 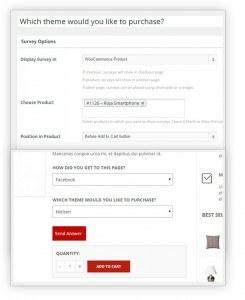 In fact, 100% of the people completing an order also fill in all the available fields. During the checkout, customers do not have any distraction as they are focused on the purchase, and they do not think twice about giving the answer you are looking for. 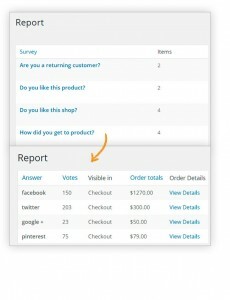 With YITH WooCommerce Surveys, you can add small surveys on the “Checkout” page. Furthermore, through the statistics, you can obtain information that will be precious for your future choices. Stop losing money and trust your customers!